Cream together the butter, brown sugar and white sugar in a large bowl. Beat in 1 egg and 2 Tsp of vanilla. Add half of the dry ingredients to the wet mixture and slowly incorporate. Add your chocolate chips (or other mix in’s) to the remaining dry mixture. Toss the chocolate chips until coated in the flour mixture. Add the rest of the dry ingredients to the wet mixture and stir until fully mixed. Drop 1 Tsp sized spoonfuls of dough onto greased or lined cookie sheet. Fitting 6-8 per sheet. Bake for 8-10 minutes. Let cool for 5 minutes and then transfer to wire cooling rack. Tip 1: Put the egg in a cup of warm water for 5-10 minutes while you get the rest of your ingredients ready. This way it will be closer to the same temperature as the butter making it easier to incorporate. 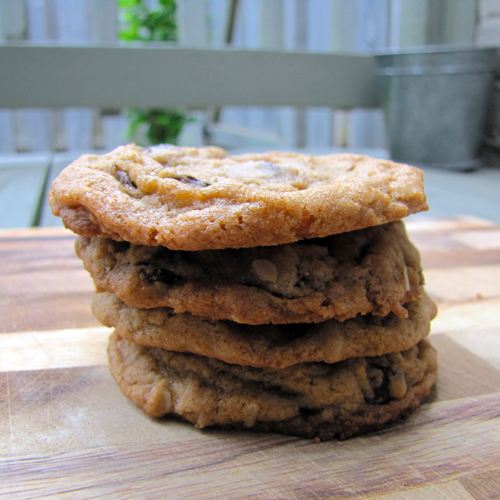 Tip 2: For chewy cookies: The trick is to remove them from the oven just before they “look” done. 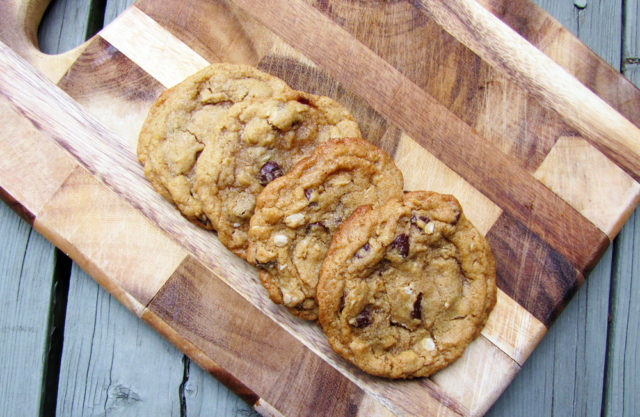 They finish cooking while they cool on the pan so this is key to avoiding a crunchy cookie.